Home » BABY » How to take care of a baby? 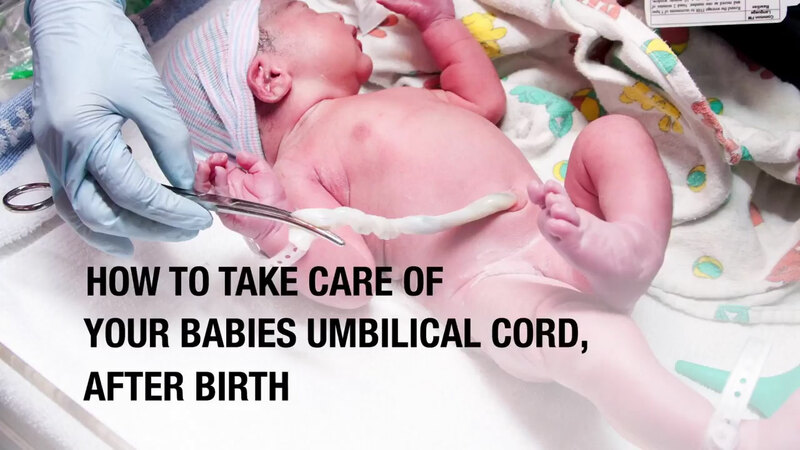 How to take care of your babies umbilical cord after birth? Pediatrician Tanya Altmann discusses how to handle your baby’s umbilical cord after birth and gives some useful tips. The goal is for your baby’s umbilical cord to stay dry and shrivel up so it will fall off on its own, which can happen anywhere from a couple weeks to a couple months after birth. The best way to keep their umbilical cord area dry during a bath, is to use a sponge bath. This will only involve a soft washcloth, water, and some mild baby soap to clean around the area. While it’s normal for there to be a little bit of dried blood after the umbilical cord has fallen off, if it persists for more than a few days, has strong odors, or your baby is in pain, call a doctor. How to take care of your baby's umbilical cord after birth?